World War II was fought globally by over three dozen different nations. Those countries opposing the Germany-Japan-Italy block were initially styled as the Allies. 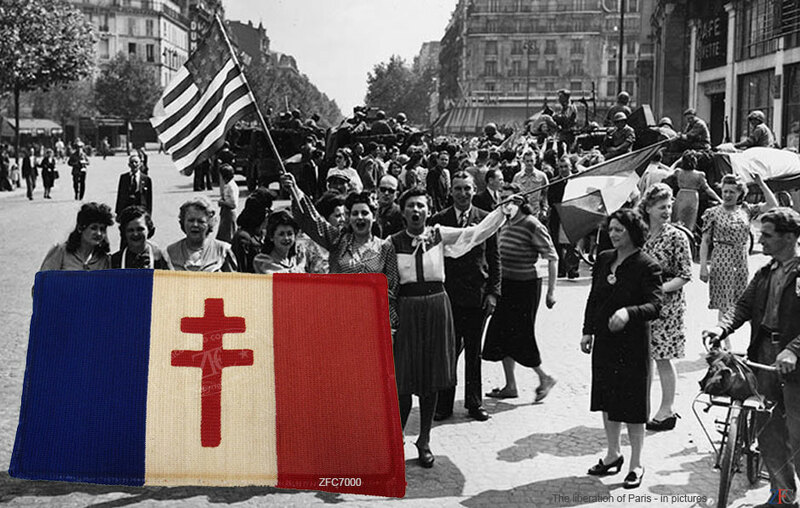 Included in this Grouping is a 48 star U.S. flag made in occupied Belgium in anticipation of Liberation; a government-in-exile flag from the Kingdom of Greece; a "Free French flag" made at great peril in occupied France and a rare pre-invasion & occupation Czechoslovakian cavalry guidon. Also included here are flags of Brazil & Albania, not generally thought of as Allied nations; some U.S. patriotic flags and decorations; and a 1943 War Information Office poster that utilized the prophetic term "United Nations" when describing the Allies.